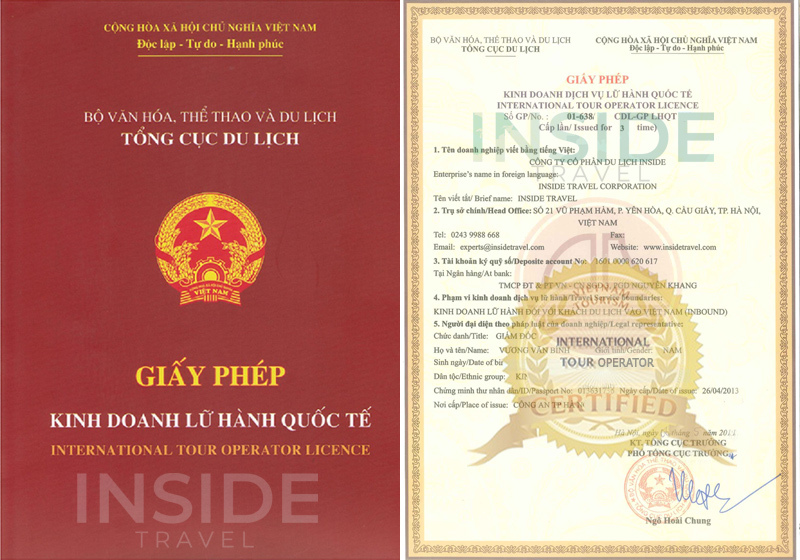 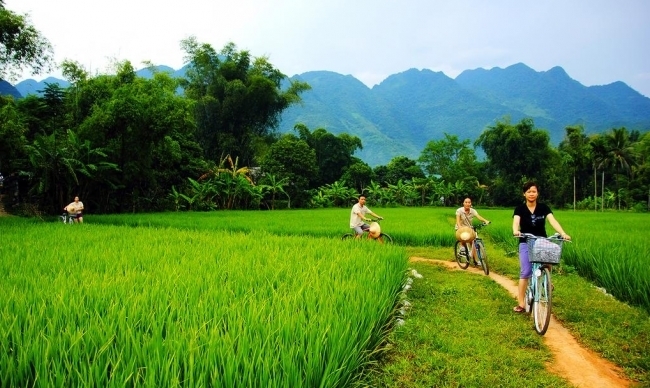 You want a break from the hustle and bustle of Hanoi? 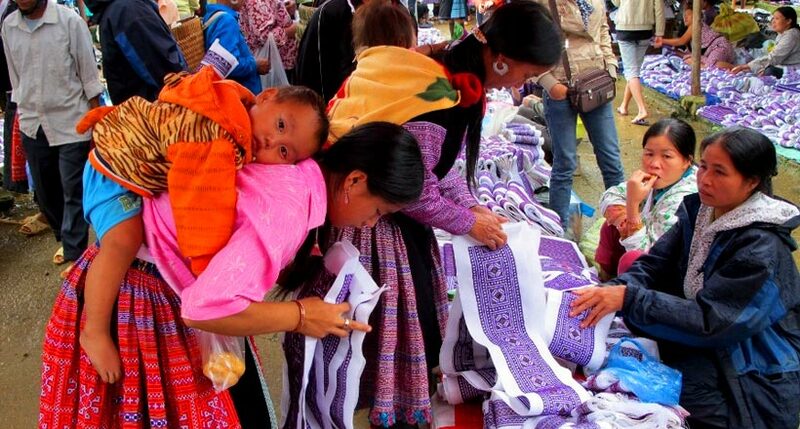 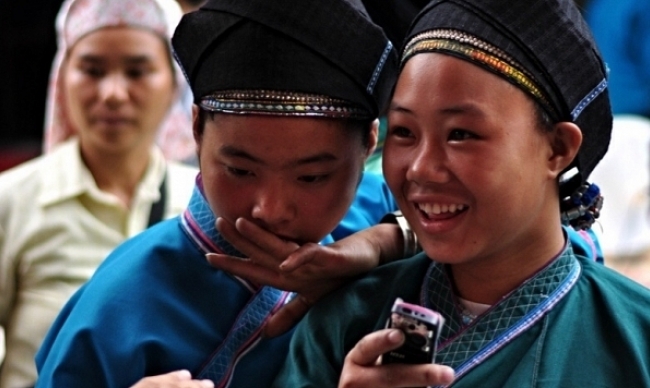 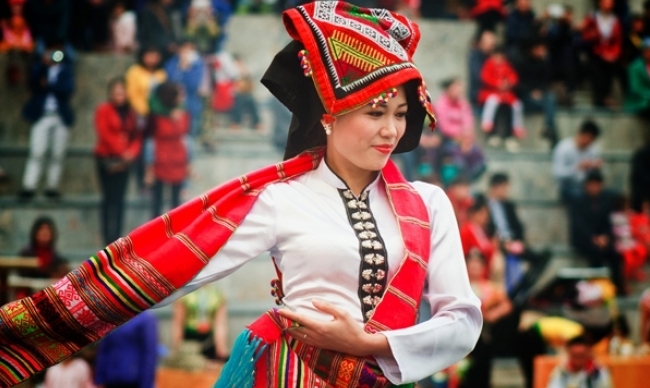 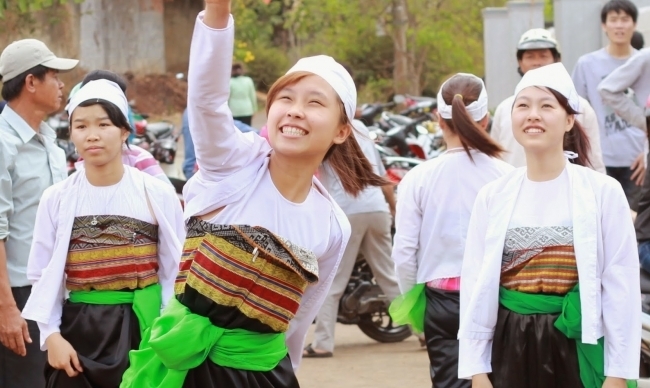 You want to experience the authentic life of ethnic minority? 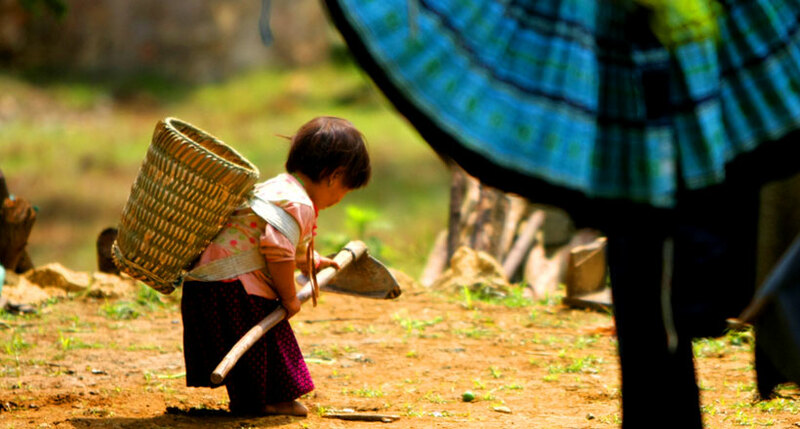 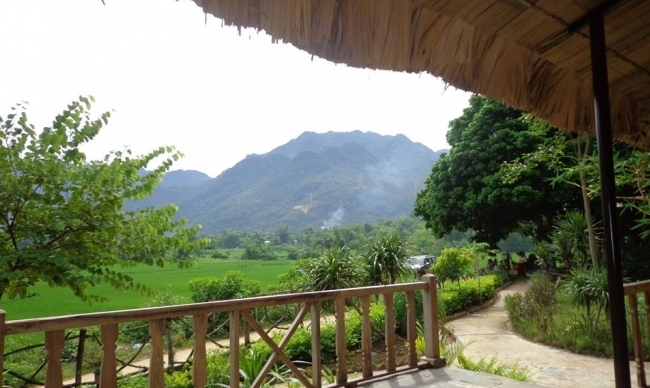 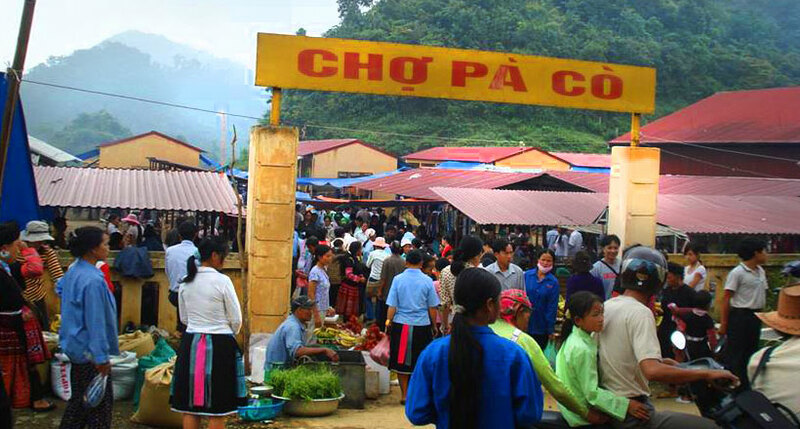 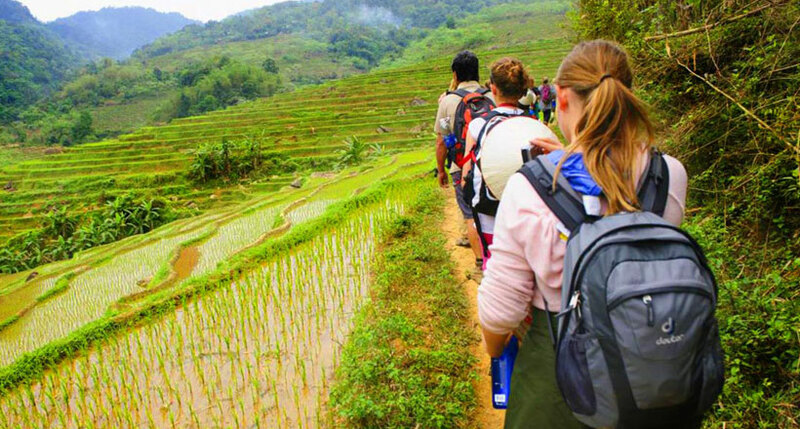 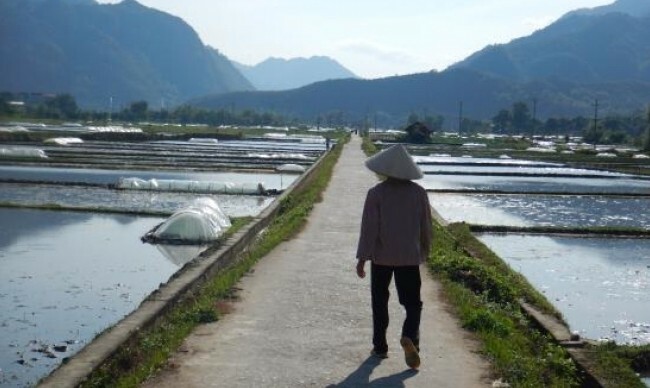 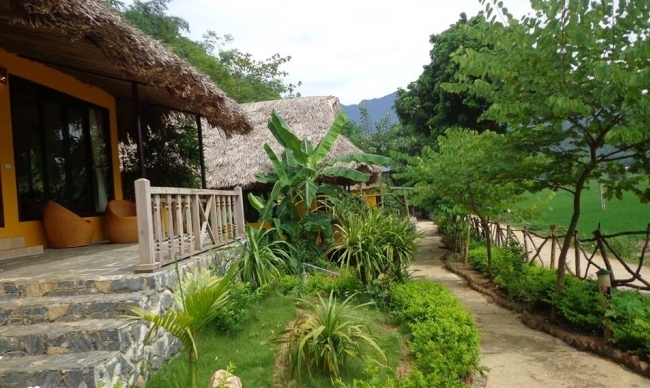 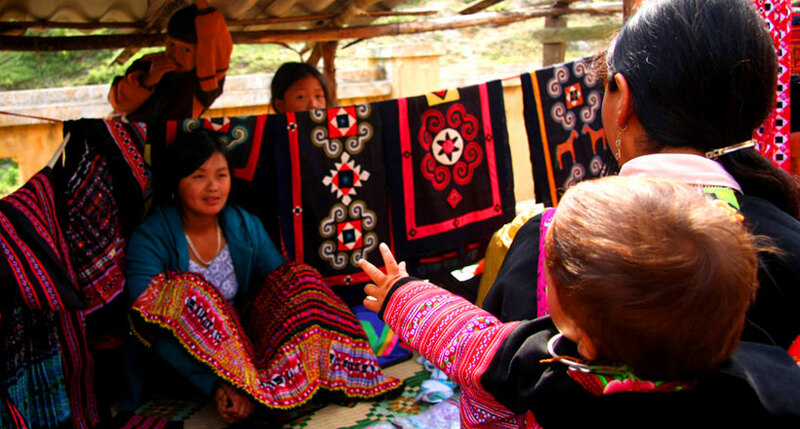 Don’t need to look further, this 3 day trip to Mai Chau is definitely designed for you. 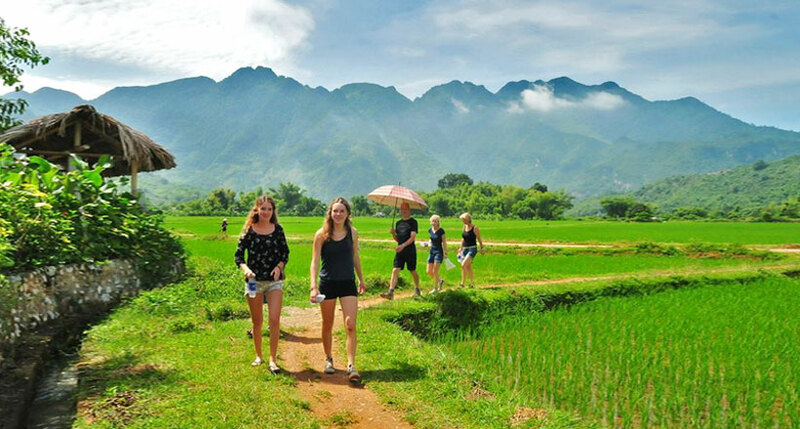 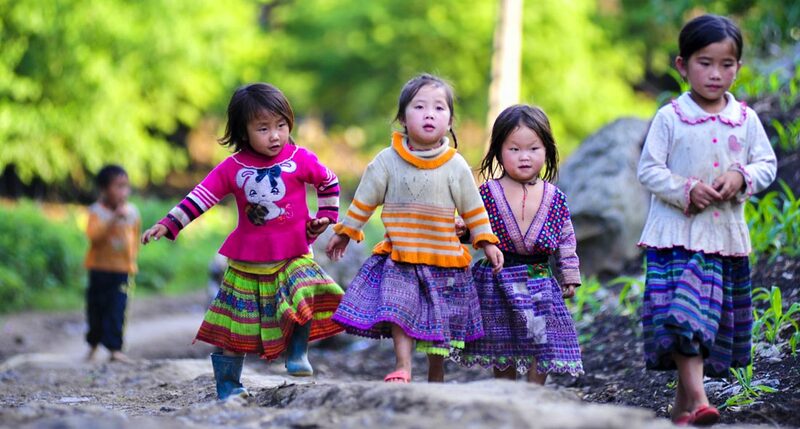 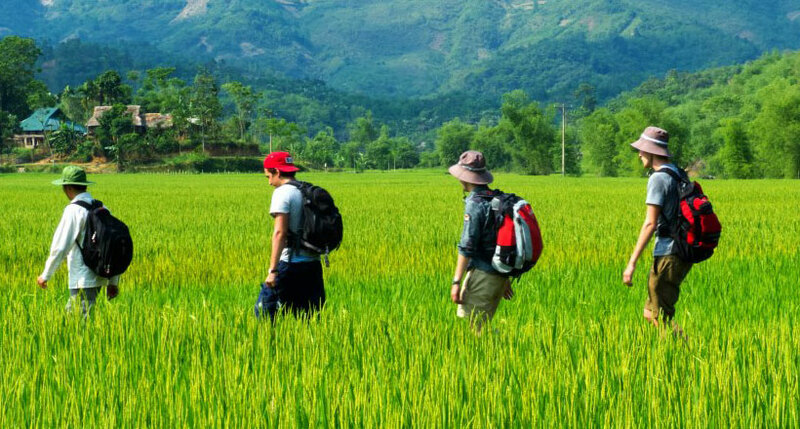 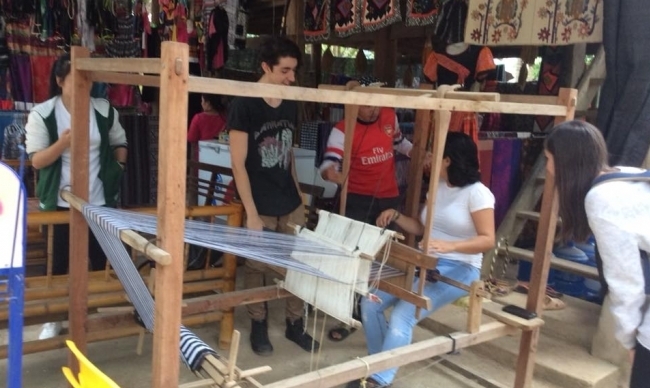 Coming to Mai Chau - the land of various ethnic people, you will have a chance to walk around local communities, make friends with genuine local people and learn more about their life. 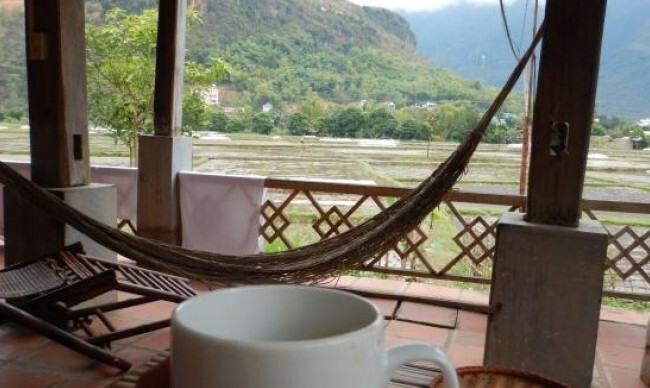 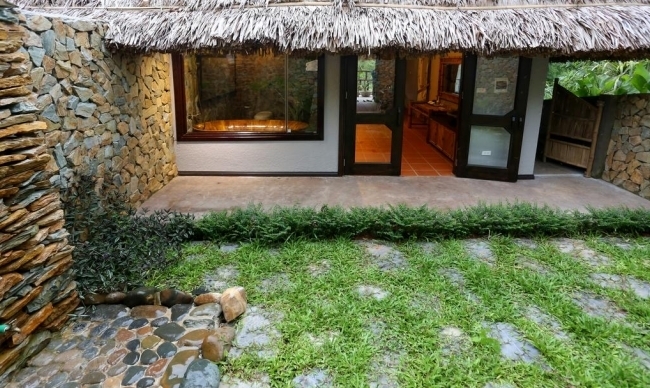 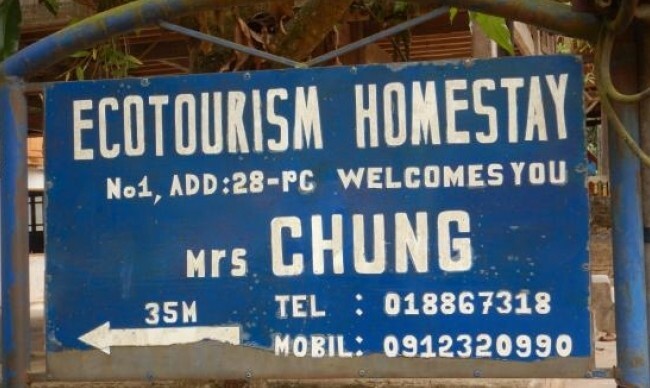 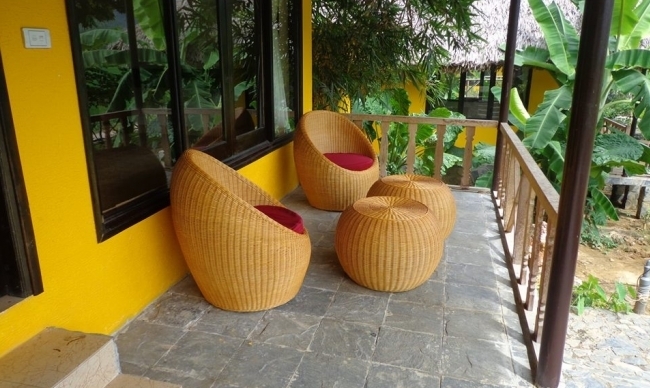 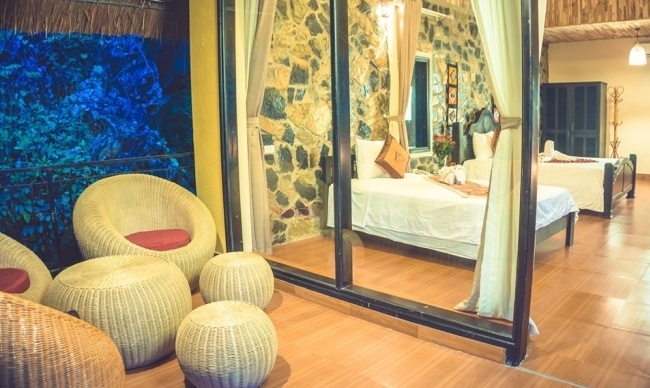 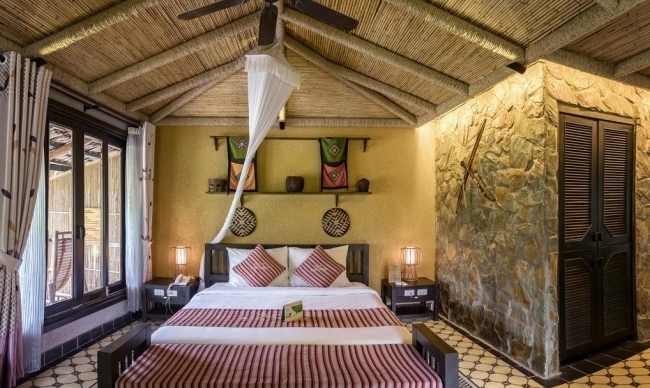 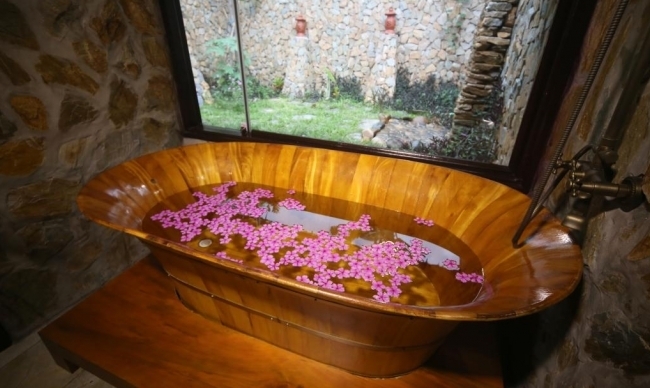 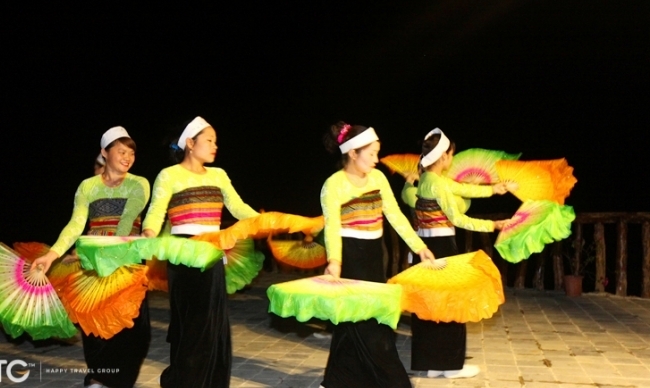 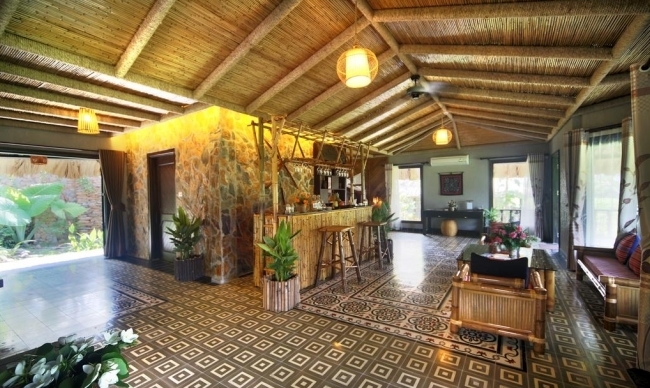 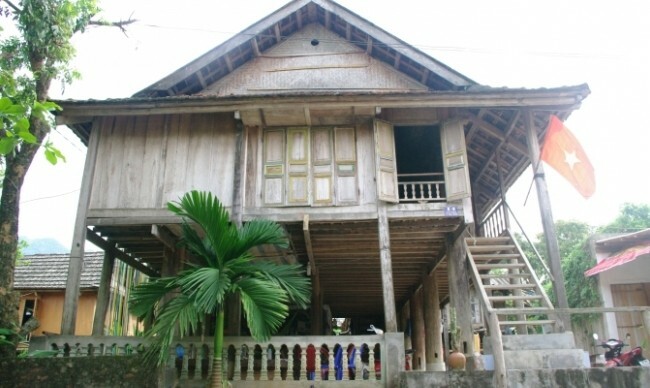 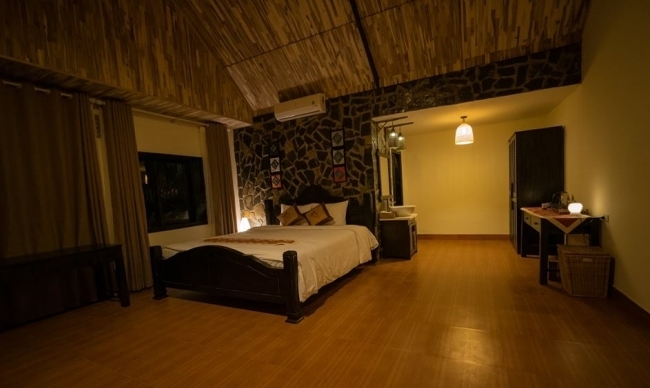 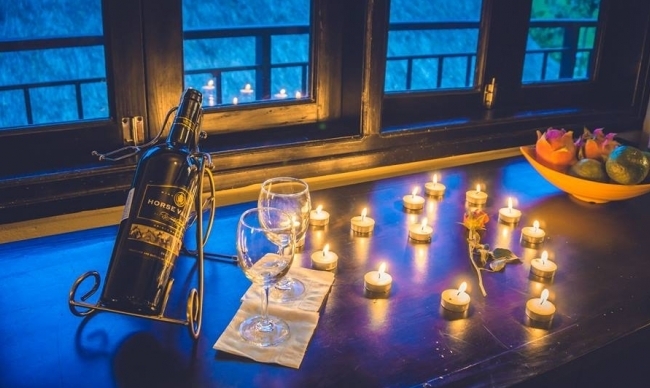 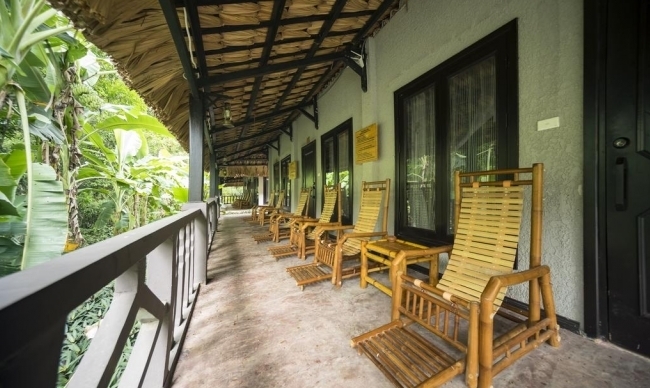 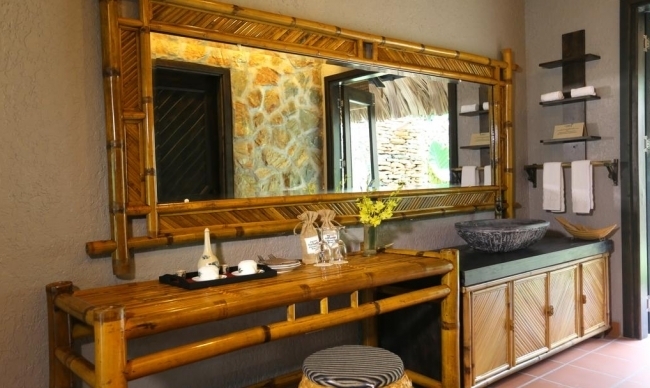 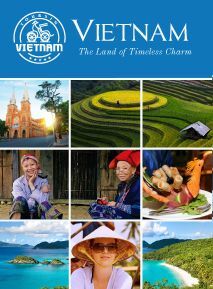 Moreover, don’t miss the chance to spend overnight time in a homestay - a unique experience of your trip to Vietnam. 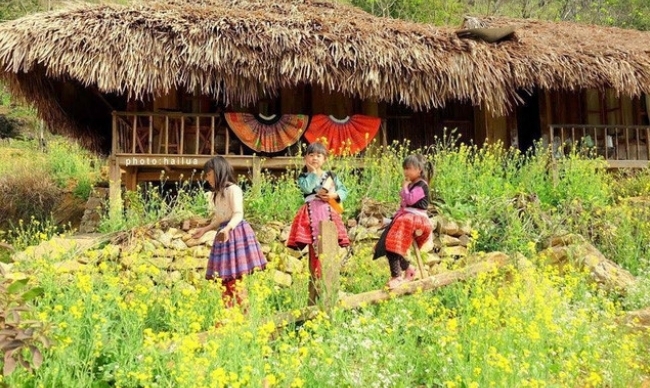 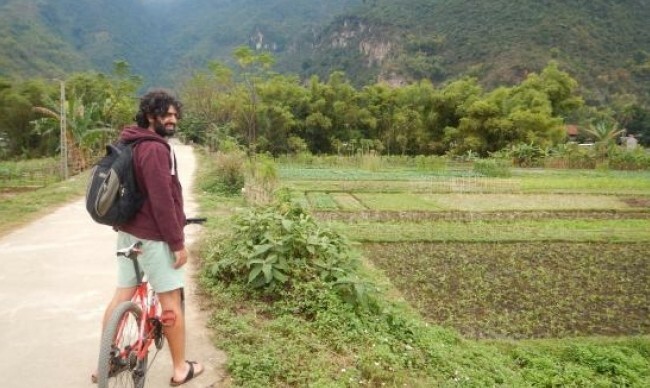 Trek to Hang Kia, a Flower H'mong village situated in a small and scenic valley. 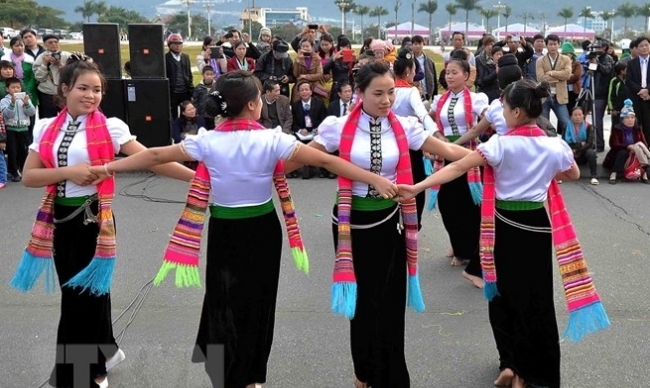 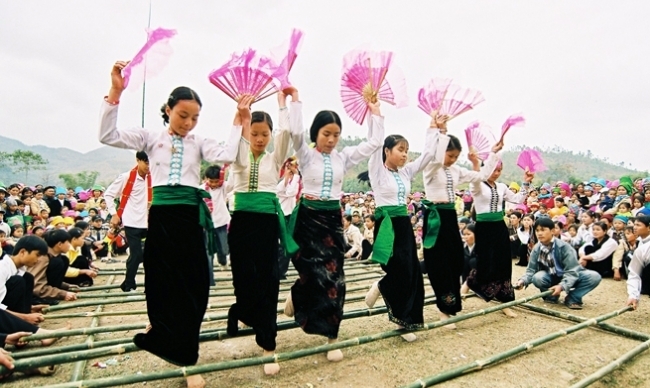 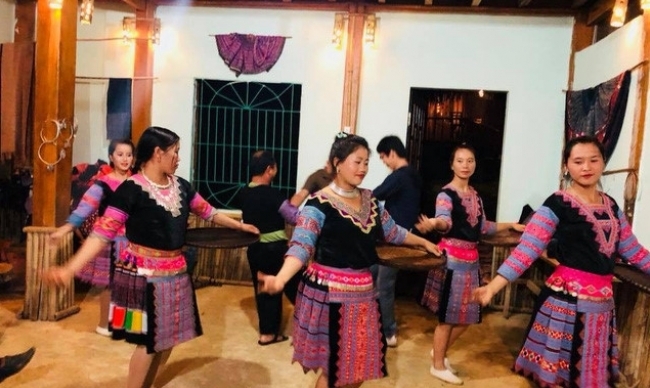 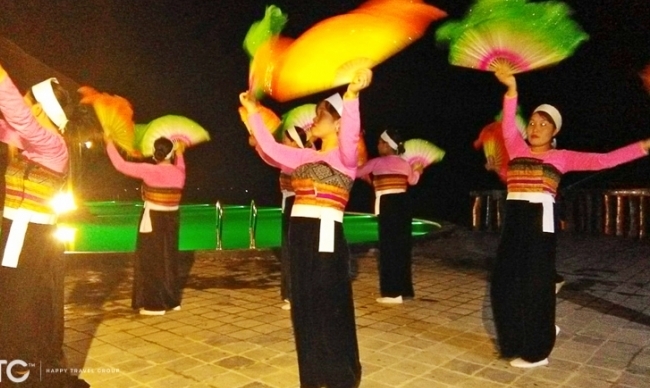 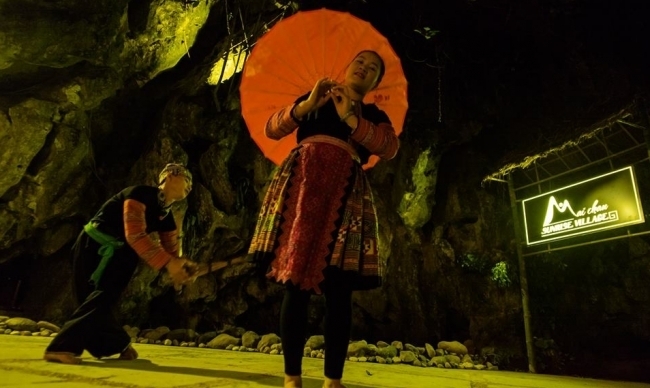 Thai ethnic minority still preserve the traditional dance that used to be performed at an only special occasion like Tet (Vietnamese New Year), spring festival, wedding ceremony, and others. 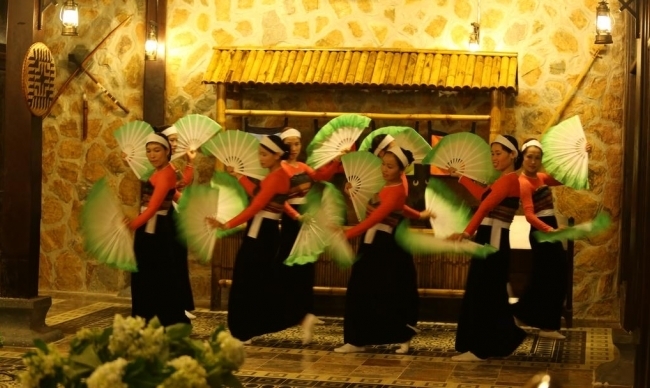 Though the lifestyle has changed a bit, this type of dance still has as much meaning today as it did then. 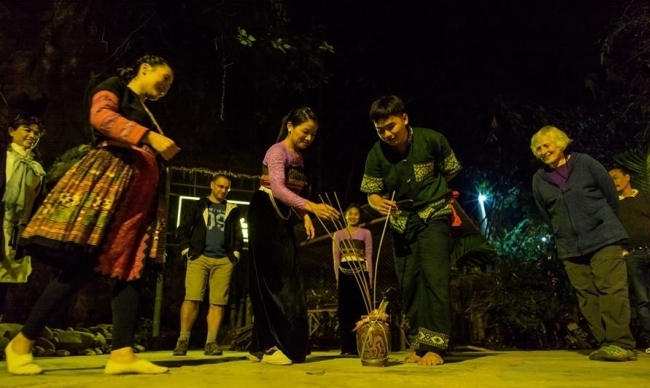 The dance reflects the love between a couple, their love with the home village, and the wishes for good rice harvest and happiness. 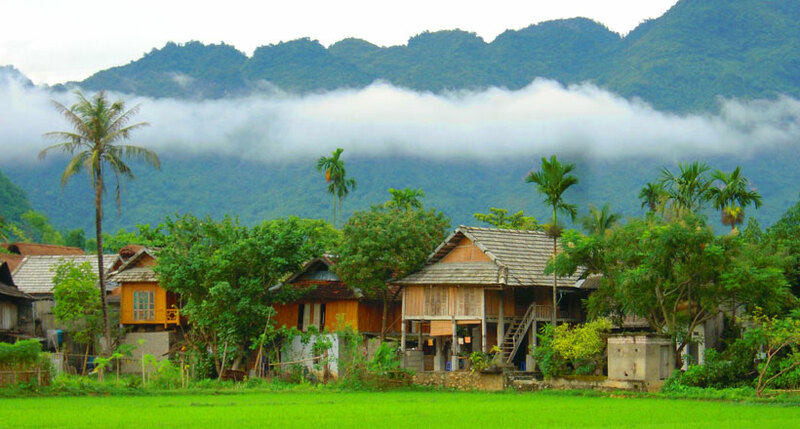 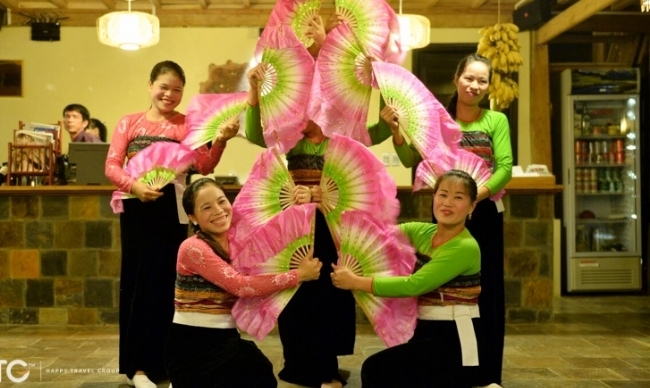 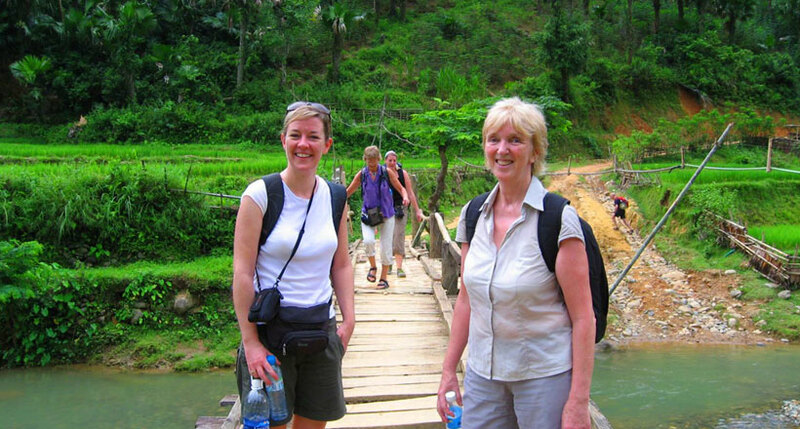 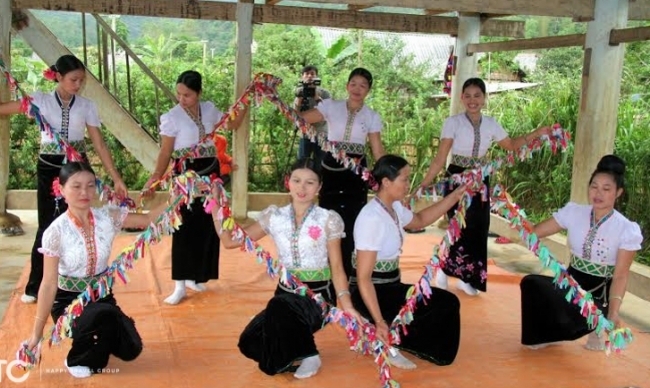 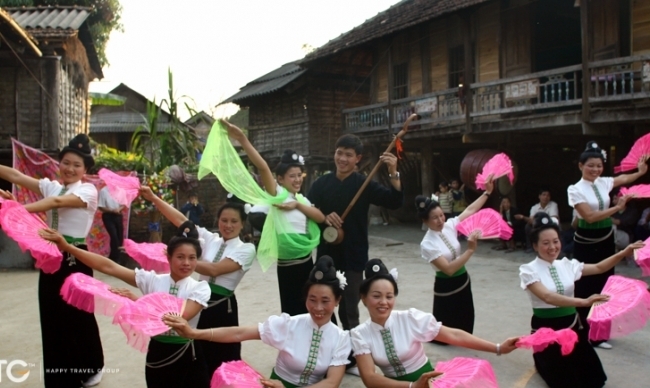 Visit Mai Chau, you will have an amazing chance to join with them and practice together. 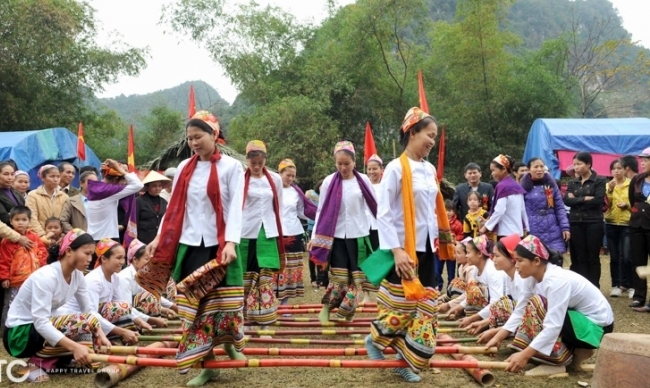 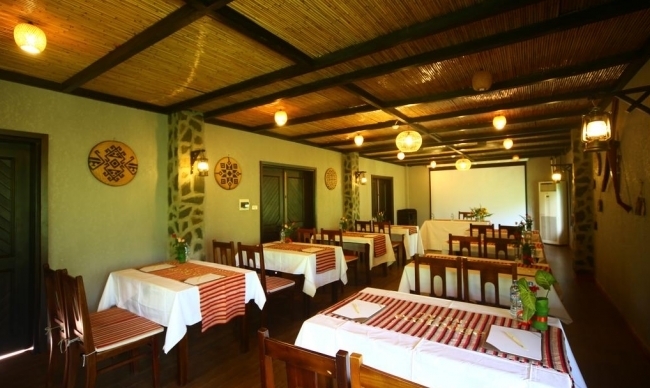 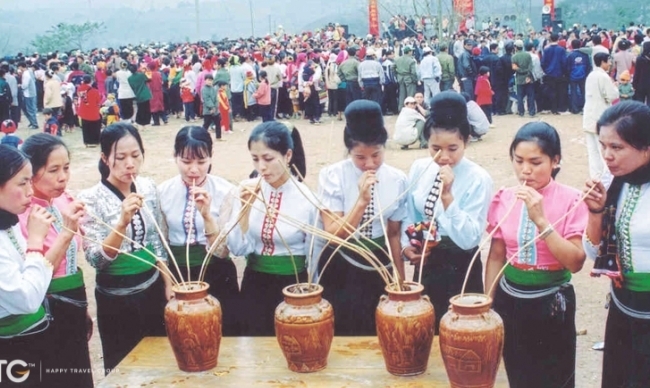 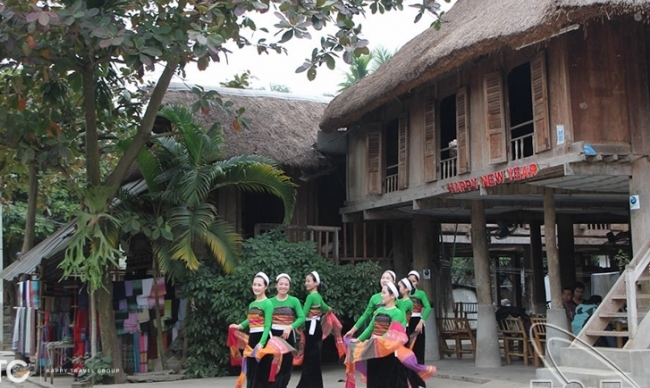 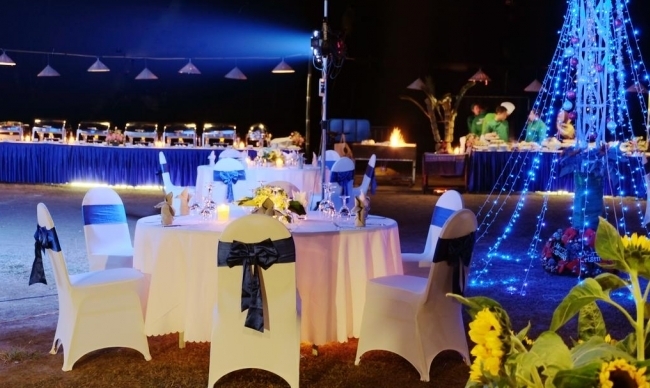 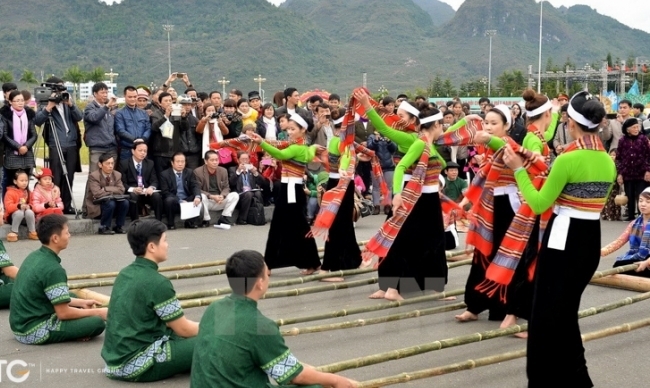 You can also taste the regional wine named Nep rice wine and interact with local people. 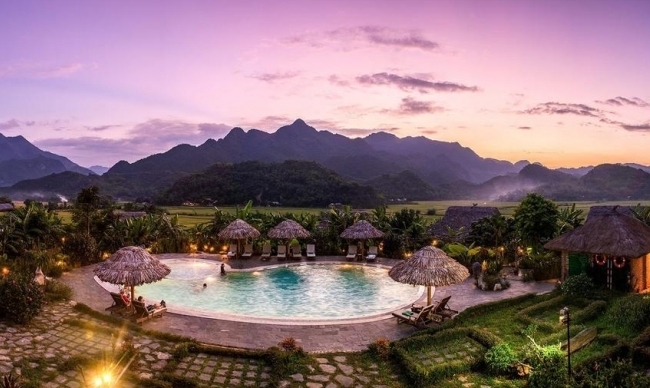 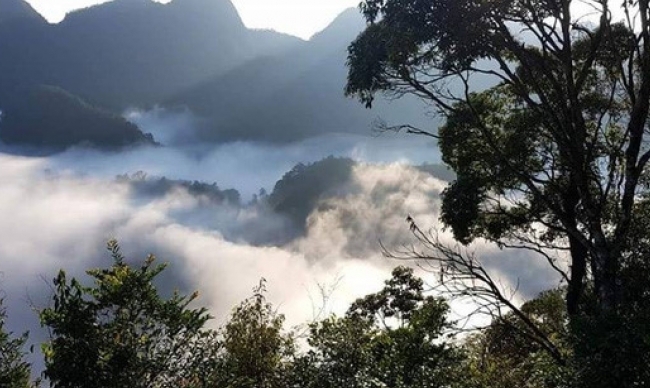 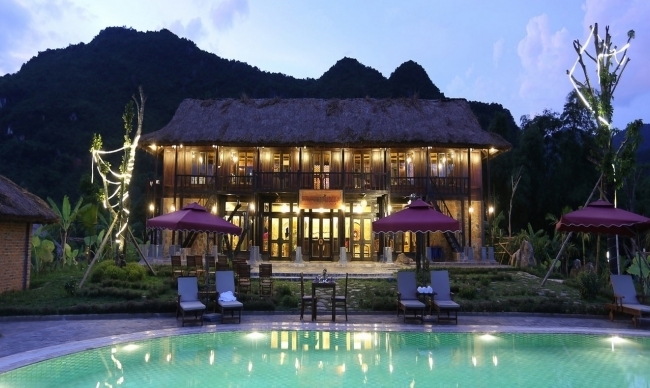 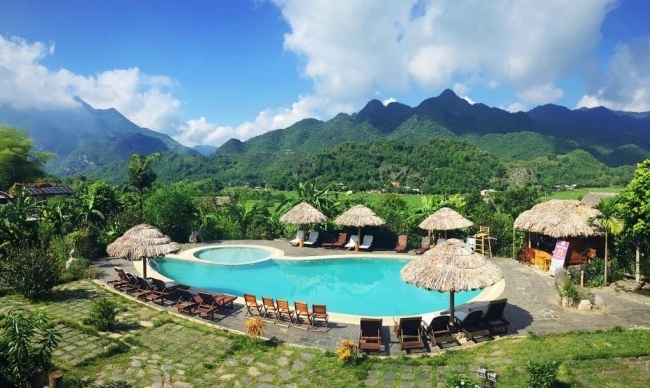 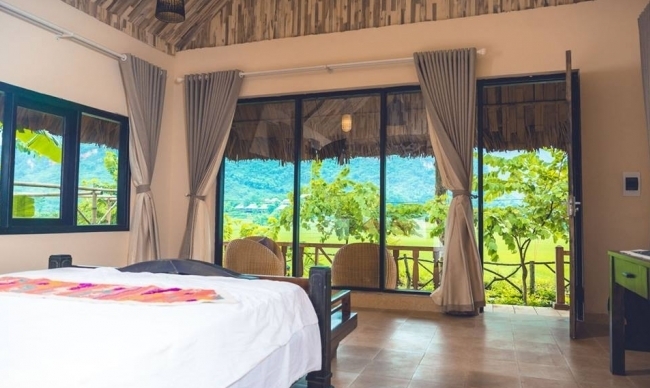 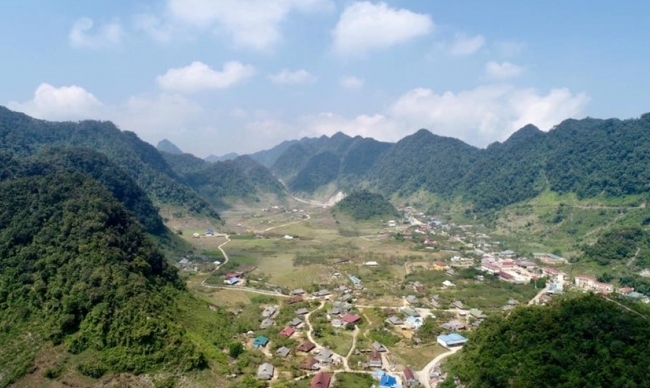 The Hang Kia valley, found in Mai Chau district in the northern province of Hoa Binh, has become an ideal destination due to its majestic mountains whose peaks are often immersed in white clouds. 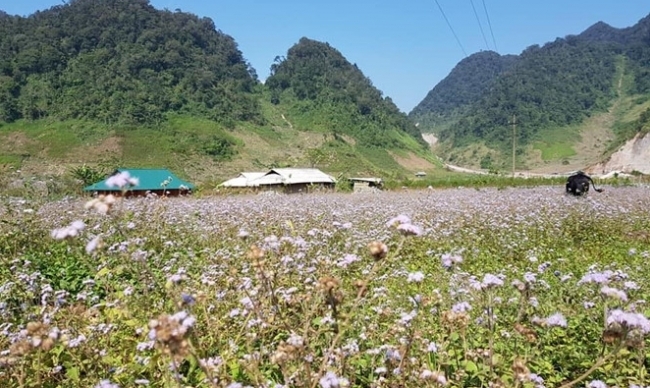 Its moderate climate gives scenic views and allows beautiful flowers to grow throughout the year. 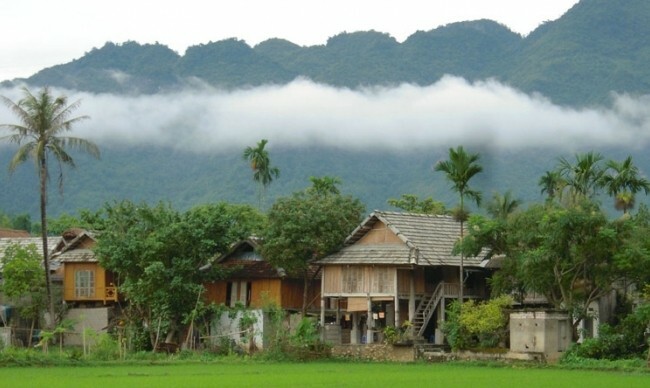 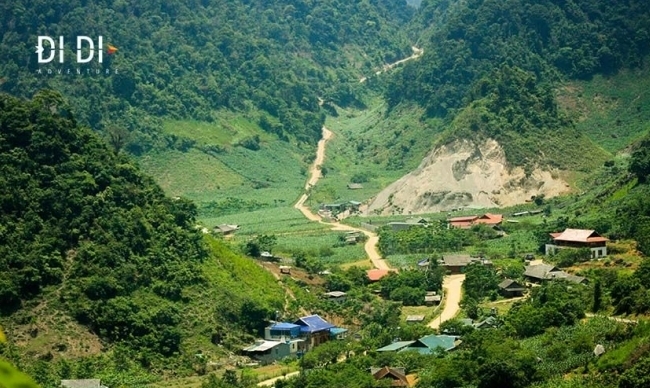 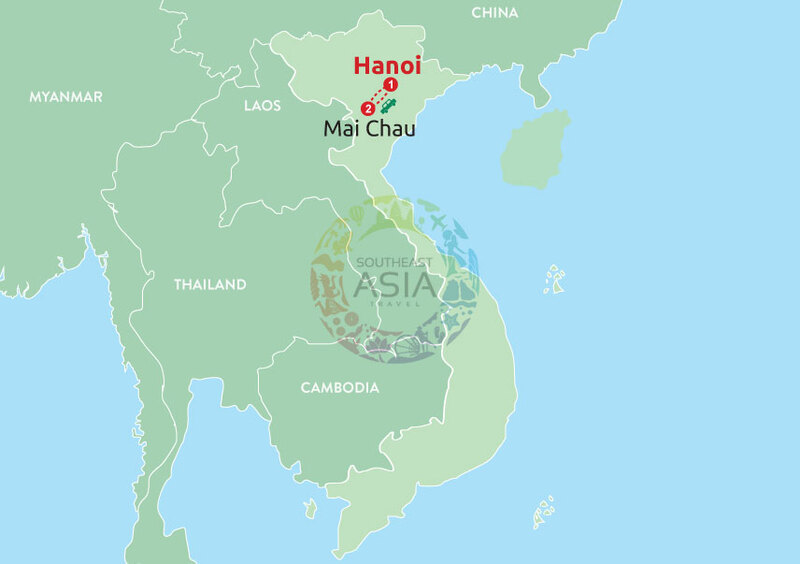 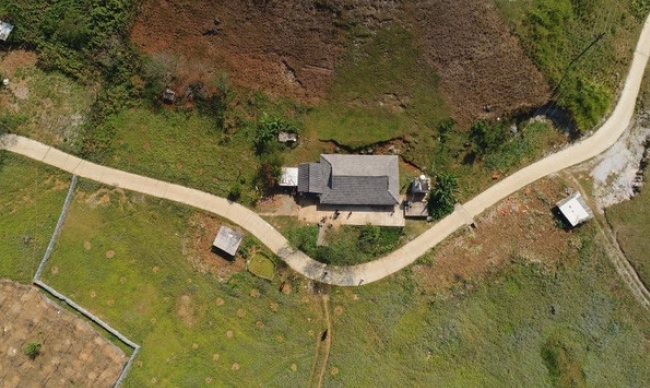 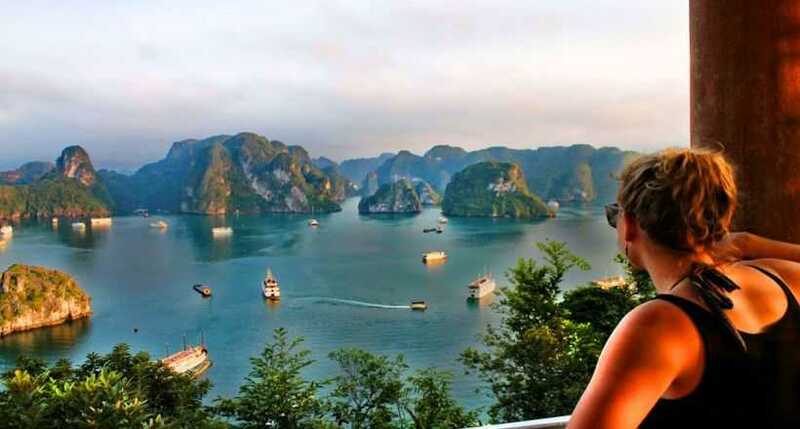 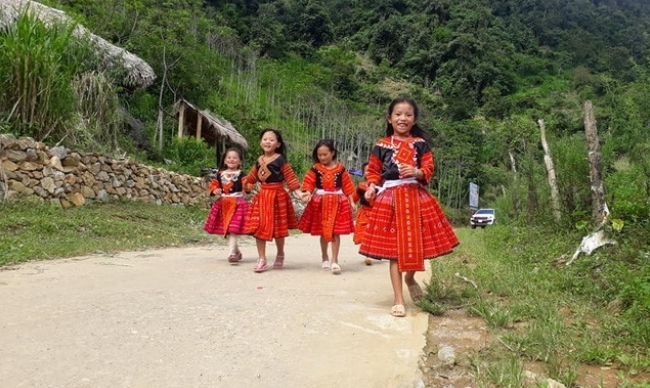 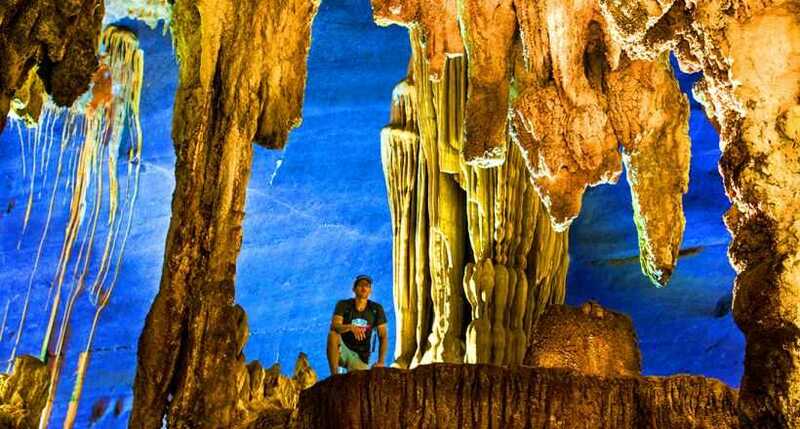 It has two mountain ranges, Xa Linh and Luong Xa, which have created several valleys, inhabited by a large number of residents.